We’re Trying Records has announced the signing of Illinois based Mighty Ships, who have just released their EP ‘The Coastal Midwest’ on the label. Along with the newly released 5 track record, the band have also released their new single ‘Raincheck’. With an anthemic sound, Mighty Ships have a sound that incorporates many layers to give their songs a heavy feel to them. With masses of crunchy guitars and powerful vocals and harmonies, there is an alternative edge to their music, with touches of garage and a hint of punk pop to make a powerful debut for Mighty Ships. 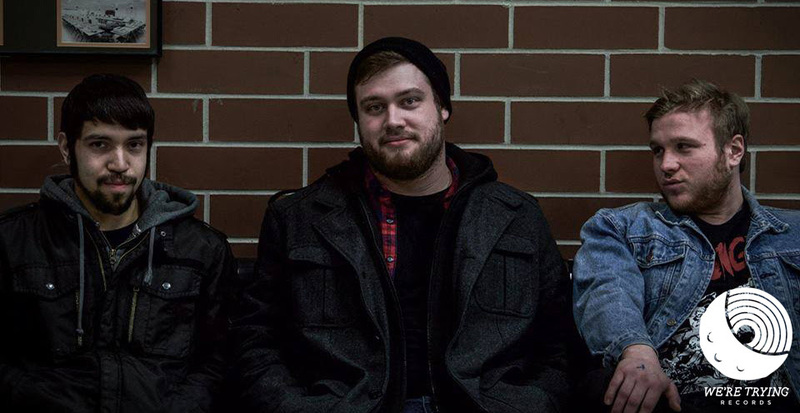 What started as a solo project of frontman Tyler Bachman, has slowly morphed into a three-piece, post-rock band that has left a lasting impression on the DIY scene around Normal, Illinois. Over a year ago, Tyler found himself in-between bands. He started writing songs in a style he had always been interested in, but never really had a chance to pursue. With what Christmas money he had left and some help from his friend Harry — the band’s current bassist — Tyler recorded two songs. These songs made up the band’s first demo ‘Awakening’. ‘The Coastal Midwest’ is available from their bandcamp page.